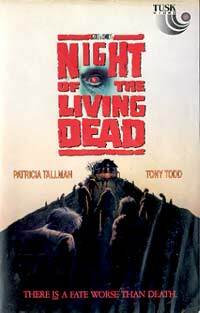 Making his directorial debut in 1990, special FX master, part-time actor and stuntman Tom Savini picked a great film project to showcase his skill behind the camera - but also setting himself up for criticism by undertaking to modernize a classic holy cow of the horror genre. For a start, the shift from the original's black & white to colour already changes the entire mood (not to mention more advanced zombie make-up FX). On their visit to the cemetery, Barbara and her brother Johnny is attacked by a crazed man (in actual fact a zombie) - sending her fleeing to a farmhouse where she barricades up with a few more survivors. The zombies pile up outside as the conflict inside start to erode their unity for staying alive. Written by original director George A. Romero and based on his original screenplay with John Russo, it is interesting to see this take on the tale over two decades after the original was made.